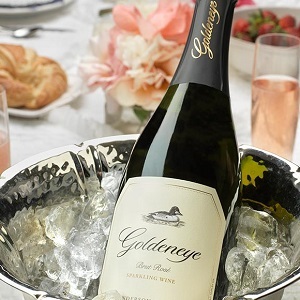 Celebrate summer and the highly anticipated release of their 2016 Goldeneye Sparkling Brut Rosé, with a festive seasonal brunch. Hosted by Goldeneye winemaker and held al fresco on their picturesque patio. This special afternoon gathering will be a wonderful opportunity to bask in the rustic beauty of the Anderson Valley as you enjoy an exciting lineup of sought-after wines from both Goldeneye and Migration. **All ticket sales are non-refundable.